First off, is there anyway that if you're reading this post that you might be interested in completing this survey for me about your blogging and reading preferences??? I'd really appreciate it. 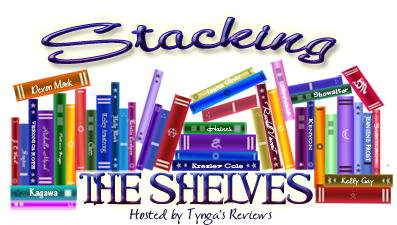 I've got some ideas that I'm pondering concerning my blog but I'd really like to find out the answer to some simple questions before I take any steps. Also something kind of cool. I received my first ever unsolicited hardcopy review book in the mail from a major publisher. I truly never expected this day to come. Now I might just be one of very many here and not be special at all, but it feels pretty special to me. I've received physical review books before, but they've either been ones where I've requested them for review or the author/publisher has contacted me regarding my interest level before sending it to me. Not much else to report. This week was pretty normal and uneventful. Baby Boy and I did have chiropractor appointments on Friday. We tried watching a movie with Little Girl Friday night but her attention span is still too short. Funny how she can sit for as long as we'll let her to watch kids' videos on YouTube, but sit her down for one continuous movie and she's got to get up and move. Oh well. We try not to encourage too much TV watching at her age anyway. Baby Boy was moved to his crib for night sleep Friday as well. It didn't go great as he woke at 1:30, 3:30, 4:30, and 6 am, but he'll have to get used to it as will we. 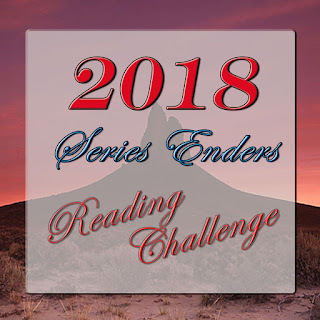 Don’t forget to link up for the 2018 Series Enders Reading Challenge! You have until December 15th, 2018 to sing up. Each month there will be a giveaway for those participating with an end of the year giveaway too! Click on the picture below or the link above to find out more! 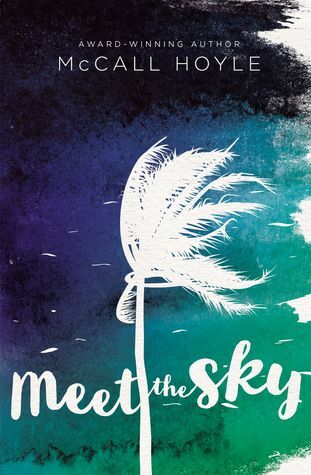 Goodreads description--From award-winning author McCall Hoyle comes a new young adult novel, Meet the Sky, a story of love, letting go, and the unstoppable power of nature. I just requested Meet the Sky today. It sounds really good. I don't like to read physical books (my eyes are garbage), but it's awesome to get book mail, and that's a pretty hyped title too. It's great getting books in the mail. I'm always excited about it, even just something ordered. 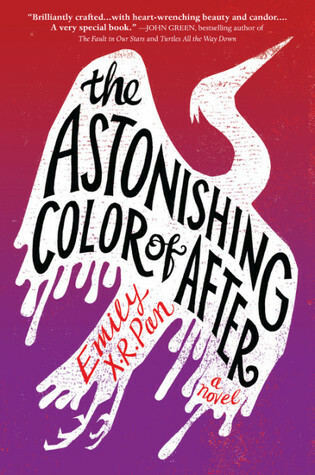 I've been wanting to read the Astonishing Color of After, I really like the cover. Have a great week! Meet the Sky has a beautiful cover! Meet the Sky sounds good to me. I used to live in FL for many years and bad weather like that was always an issue to contend with. I like stories where the MC has to battle Mother Nature as well as other problems. Have a good week. Also Sandy, I tried to take your survey and couldn't get it loaded past the first page. Maybe something on my end? Sorry. Congrats on receiving a hardcover! That sounds great! Both books you mentioned have such stunning covers! 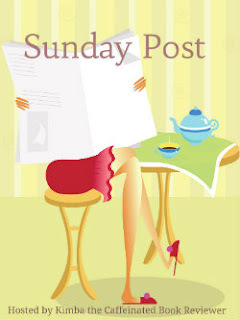 Have a wonderful week and happy reading! I love it when I’m asked to review a book. I love it when a book arrives unexpectedly in the mail. The joys of book blogging. I agree to both Deb! Thanks for stopping by and commenting! I actually usually prefer reading on my kindle or phone for the one handedness (is that a word) since I'm a mom of two, two and under. I need as many free hands even when they're asleep as possible. :) Thanks for stopping by Sam! I agree. I love getting packages in the mail as well. And you're right, it does have a great cover! Thanks for stopping by Cricket! Haha, yes. 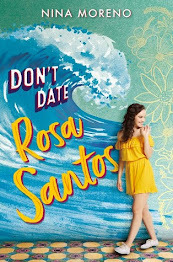 It's funny because I'd seen this one on NetGalley and Edelweiss and chosen not to request it for review. And then they mailed it to me unsolicited. Then I decided to just check out the first chapter and I'm interested enough to plan to read it when I can. Unfortunately reading a physical book compared to reading on my phone or kindle is a lot more difficult these days. Thanks for stopping by Laura! It was a nice surprise. Thanks for stopping by and commenting Lynn! Oh yes, Florida has all kinds of weather issues. :) We live in Alabama so we're not far off from there. Oh thanks so much for the heads up. It wouldn't let me "test" the survey because I was the creator. But you did alert me to some tweaks I needed to make. If it isn't too much trouble I'd love for you to try to take it again if you have time. https://goo.gl/forms/jQjo2G8BgBLvahW63 Thanks so much! It's always surprising and fun to get unsolicited books, except when it's a genre you clearly do not read. Such awesome book covers on your new books. I hope you love them both! 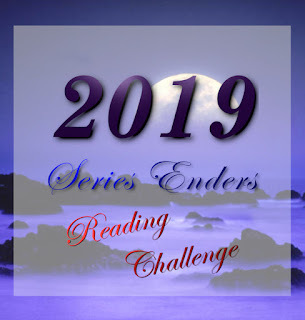 Yeah, I've been blogging for almost 7 years and it's not exactly been a goal to reach this so I haven't been disappointed when others have received books and I haven't. But it was a nice surprise that perked me up a little bit. Thanks for stopping by Astrid! 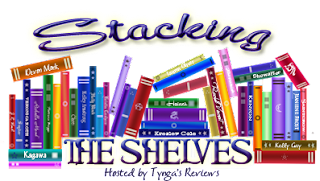 I’m so wanting to read The astonishing Color of After! I tried all sorts of things to get that ARC... At least it’s out soon! I’ll hit your survey now too! That's one of the few negatives about so much time travelling - I'm rarely at home for the post! Haha, yeah that's a pretty good description of how it feels. Thanks for stopping by and commenting Vi! I've only read the first 50ish pages so far, but I've really enjoyed it. Good writing so far. Thanks so much for stopping by and commenting. And thanks for taking the survey! Thanks so much for stopping by and commenting Stephanie! And thanks for taking the survey. Yes, I'm sure there are quite a few negatives for traveling frequently. Thanks, it did feel quite nice. We didn't co-sleep exactly. He slept in a bassinet beside our bed. But he had such issues with gas and reflux in the beginning that he often ended up sleeping on one of our chests in the early am hours. The transition has gone better than I expected. The first night was rough, but after that he's done really well. I think it helped that I had him napping in his crib before night transitioning so he was familiar with the crib. Thanks so much for stopping by and commenting. And good luck for when you do transition also!